NEW PRICE! No long drives here. 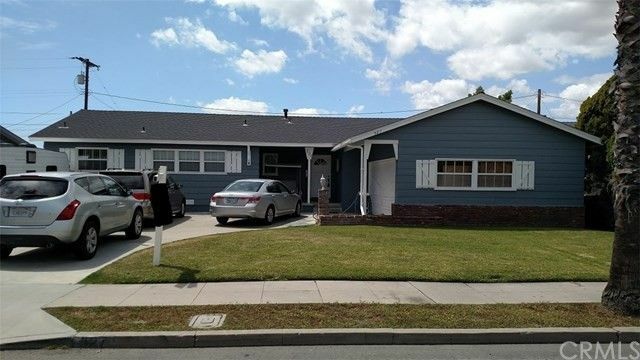 Minutes from 91 freeway and Metro line. Close to shopping and entertainment, Almost across the street from large park with pool, tennis courts, softball field, soccer fields and even a small stadium! You will love the large 2 car garage and that it is just steps from your front porch swing! Enter your home and you will be delighted by the exceptional REAL OAK hard wood floors! You will notice, right away the large guest room/MIL quarters to the right of the foyer. It has direct access to the 'country kitchen' with dozens of feet of counter space, hardwood cabinetry and custom counters and back splash! PLus the stainless steel appliances and neutral tile floors are a desired plus! AND you have a family sized laundry room/mud porch going to the back yard area! Settle into your large livingroom with a fireplace, built in bookshelves and inviting sliding door to family friendly patio! Enjoy your evening watching your children play in the large grass area, or play basketball on the corner sports court, or maybe enjoy a relaxing dip the the near new heated spa! When you make this home yours.. you can do all these things! Plus you will be delighted at the size of all the bedrooms in this home. Some people have even made it a 5 bedroom home with the addition of just 1 wall! But the flow of this home, just the way it is, is fabulous. Each bathroom has been tastefully remodeled and the central heat and are are a huge plus. Enjoy! Directions: South on Harbor from 91 freeway.